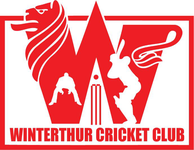 John Hallam was re-elected President at the Winterthur Cricket Club's 32nd Annual General Meeting held in Winterthur on Wednesday 12th March 2014 in front of a record attendance at a WCC AGM. Incumbents Alex Mackay (vice President), Urs Stuker (Secretary) & Matt Allen (Committee member) were also re-elected. Raj Singh was elected as the Social Secretary, while Jiten Patel (Treasurer) made a return to the committee, as did Prafull Shikare (Club Captain). Finally, Chris Lodge (Committee member) was welcomed to the executive. Additionally, Andy Wilson & Phil Martin were elected as club auditors. The outgoing Vinay Kalia (Treasurer), Ray Goddard (Social Secretary), Vinny Patel (Committee member) & John Draper (Auditor) were all thanked for their services to club. Other business at the AGM saw honorary membership bestowed on Phil Martin after qualifying with 30 years of service to the club (committee years count double) and the meeting voted to keep active & passive membership fees unchanged for 2014. The meeting was informed of the rebranding of the national association to Cricket Switzerland and a very busy season of fixtures lined up for the 2014 season, including matches & tours to neighbouring Italy, Germany & France, taking part in the domestic 40 over league & Pickwick Twenty20 competition, plus participation in both the Zuoz Cricket Festival & SwissT20 competition. Further information on the AGM's preceedings are available from the Honorary Secretary.